Raising funds for the 3rd Annual - North Sound Progressive People’s Summit! 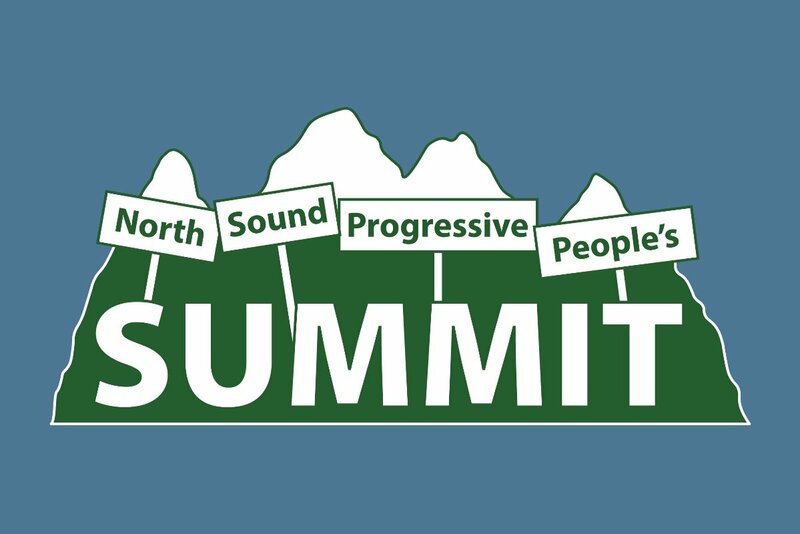 The North Sound Progressive People's Summit is an annual event - held in Everett. The Summit is an opportunity for progressive groups and organizations, who are working towards equity and social justice, to come together for inspiration, collaboration and unity. The Summit is also an opportunity for members of the public to engage with the wide variety of local grassroots progressive groups and organizations in our region, and to hear from some outstanding dynamic regional and local speakers. Community members are invited to The Summit to discover groups they may be unfamiliar with, as well as connect with organization leaders and members to consider joining and supporting direct actions with progressive groups. BONUS: As an exciting extra at this year's Summit, we will feature an opportunity for the community to Meet the Candidates on "Democracy Alley" where informal conversations can flourish, allowing a rare and personal glimpse at our local candidates both on the November ticket and those already in office! Citizen-based initiatives will also be represented, and you can get your questions answered. Candidates for local and regional political office in the North Sound are invited to reserve a spot on Democracy Alley at The Summit to meet the public, distribute campaign materials, share their messages and listen to their constituents! (Elected officials are also welcome and encouraged to join in the public meet-and-greet opportunity.) All local progressive candidates, regardless of party affiliation, are welcome to attend, set up a table/canopy on "Democracy Alley," and to engage with the progressive community. One restriction: civil discourse is mandatory! Positive message materials only, please. teach-ins, marches, demonstrations, vigils and other civic and community gatherings. The Summit is a fully inclusive, family-friendly, fun and free community event. With the event culminating with the March in Solidarity with Immigrants and Refugees, there is truly something for everyone! The Summit is held at the Snohomish County Plaza and Amphitheater in downtown Everett. It is hosted by "ForEverett", sponsored by SnoCo Indivisible, and supported by many local area progressive groups, organizations and individuals (including: 350-Everett, Marysville Indivisible, Mother’s Out Front, Everett Meaningful Movies, and the list is growing). The March in Solidarity with Immigrants and Refugees has been ongoing for two years and is held the first Sunday of each month in Everett to call attention and support for our immigrant/refugee community. When joining The Summit on June 2nd, there is a short, accessible march-route on City sidewalks that is family-friendly and inclusive. while learning about progressive missions, goals, plans, and activism strategies. A place for Candidates, Citizens' Initiatives and Political Organizations. PeoplesSummit@hotmail.com to reserve your "stump" (nominal fee). Summit promotional flyers and media release material. We sincerely appreciate your trust and generosity with any size of donation. guarantee they will be used wisely. We know how to stretch a dollar! See you on June 2nd!